This bath bomb was hiding and so I didn't use it when I should have! So this is a very delayed review and I don't think this is even available this year. However this is just a festive shaped Butterball, or for 2014 Butterbear. This particular bath bomb turned the water a light red colour. 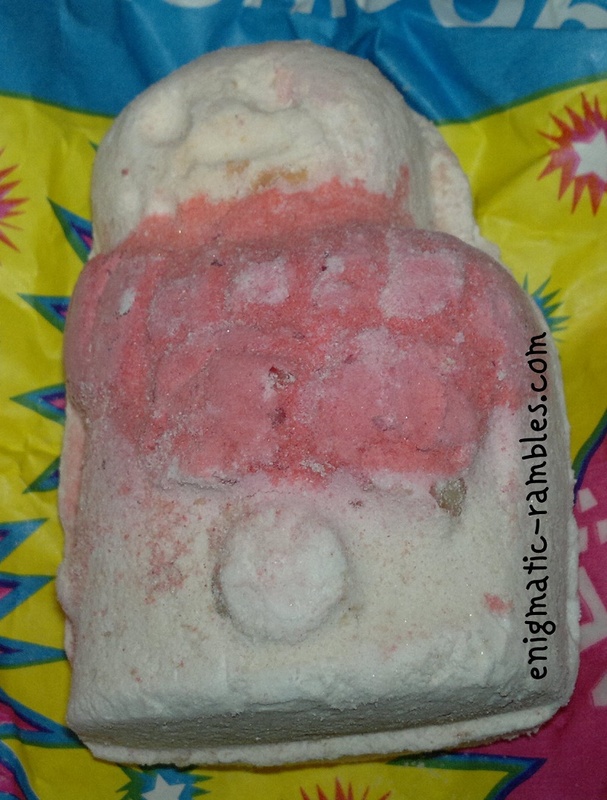 It is lightly scented with vanilla, the scent doesn't really linger on your skin either. With this one it really does leave your skin feeling moisturised and as though there was a oily layer on your skin. Which makes shaving your legs difficult, and not something you want to wash your hair in. However once out of the bath it leaves your skin feeling moisturised and that is a great thing for the winter because who wants to spend time moisturising when it's freezing cold. While this does have it's problems I like to use it after I have shaved and washed my hair, that way you get all the benefits without any of the problems.